Emerald Galveston: The Emerald by the Sea Vacation Condo. 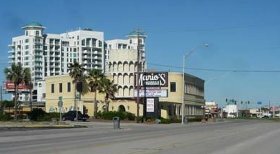 The Emerald Galveston condo is the coolest place for vacation lifestyle in Galveston. The Emeralds by the Sea catches every eye driving down the Galveston Seawall. Emarald is an imposing condo that permits gulf view as well as the downtown area. 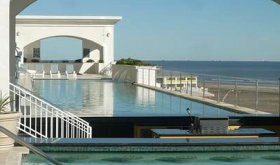 Emerald by the Sea is the place to go for a breathtaking Galveston Texas vacation. Imagine swimming in a clean pool on the seventh floor while seeing all the activities on the beach. The rates are high but more reasonable as compared to top hotel rates. There is more room to relax and feel at home here. This is a very clean Galveston vacation rental with up to date amenities. See photos beneath page. 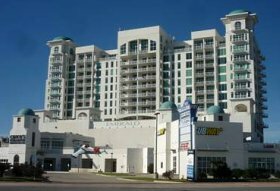 The Emerald by the Sea is surrounded by many restaurants like Mario's Italian restaurant, New York Pizzeria, Subway and Chilis restaurant. Come to Galveston for the best vacation at Emerald. The best location with the best amenities and best gulf view. Pool on the 7th floor of Emerald. Amenities and interior of the condo. Emerald by the Sea 500 Seawall Blvd.